No matter where we live, it always seems a little difficult to get the maximum amount of storage space we need. It could just take time for us to use all the storage space in our homes, but once you run out of room, what do you do? Getting the right amount of storage space is important and even if luxury townhomes have a few walk-in closets, you can still fill them up to max capacity. 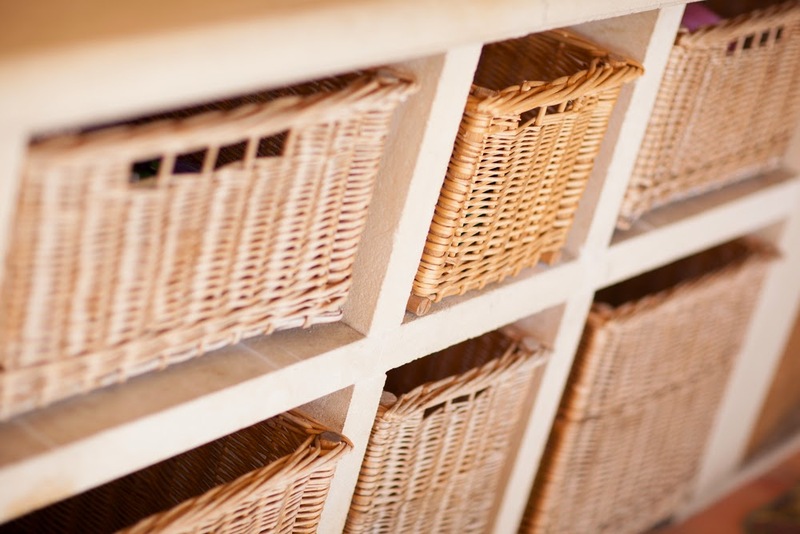 However, check out these tips that can increase your storage space with just a bit of organizing. Closet: If your closet is packed full of clothes, shoes, hangers and whatever else you’re trying to store away, consider some nifty closet organizers. You can get a custom, built-in look with closet organizers from a department store. They typically require basic tools, but once you have installed them into your closet, you’ll immediately notice a difference in storage. They give your closet more dimension and surface area so you can hang your clothes and put away your shoes without a cluttered look. Also, consider getting rid of old, unwanted clothes by donating them to a foundation. This tactic can also free up valuable storage space. Under The Bed: If you have a raised bed then you have a perfect area to store items. You might be thinking that items under your bed will look unsightly, but, you have to get a little creative with storage bins. You can find low profile storage bins that can glide right under your bed. Consider heading to your local IKEA store because they have storage bins that are perfect for under-the-bed applications. Living Room: If you still have a massive amount of overflow items that you want to store, consider getting a deep storage ottoman. These can be found at most retailers and serve multiple purposes. They will have hollow insides where you can place many items and close the lid to have a comfy foot rest or extra seating space if you need it. None of your friends will know anything is in the ottoman! Kitchen: Your kitchen can sometimes be the most cramped space in terms of food storage and utensils. With that being said, you can maximize the space in your kitchen by adding a low-profile shelving unit that sits about waist high. Like in the picture above, this shelving unit can have deep pockets where you can place storage baskets in them to hide grocery items, kitchen appliances, aluminum foil – the list can go on. While you’re at it, you can even use the shelving unit as an island or have it up against a wall for extra counter space. Before you start looking for bigger luxury townhomes, check out the storage options available to you. While you start to save space and maximize your storage, you could be increasing your homes’ aesthetic appeal – making your space more enjoyable! I really liked the closet section where you suggested getting closet organizers to keep your clothes in their proper place. Do you think getting some of these closet organizers would work for a storage unit too? With our spare car in the storage facility, it gives us limited space to put our other items. Hopefully we can find one of these organizing shelves and easily install them in our storage unit. Thanks so much for these impressive storage ideas to maximize the space you already have! When storing things, it is almost like putting a puzzle together. Would the storage unit company be willing to lend a helpful brain in showing me how to store my stuff in my unit? I want to use the space efficiently and not break my stuff. I read this blog and really great advice to maximize the storage space. I found a very useful point"under the bed". Its an amazing ways to maximize the storage space and a perfect area to store items.